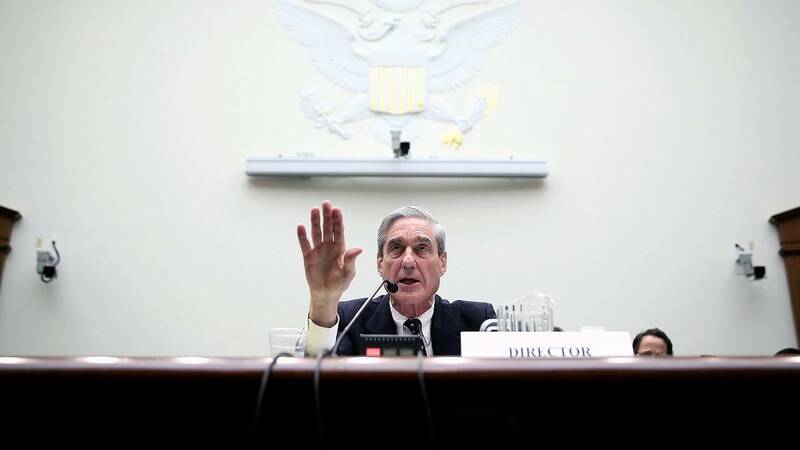 Former FBI Director Robert Mueller testifies during a hearing before the House Judiciary Committee June 13, 2013 on Capitol Hill in Washington, DC. (CNN) - Special counsel Robert Mueller's investigators are pressing witnesses for information about any possible attempts by United Arab Emirates to gain political influence by funneling money to support Donald Trump during the 2016 presidential campaign, The New York Times reports. The potential broadening of the special counsel's probe beyond Russian election interference to include UAE efforts to influence the Trump administration includes the questioning of a Lebanese-American businessman with ties to the Persian Gulf nation who has discussed Middle East policy with top aides to Trump, the Times reported Saturday. Mueller's team has questioned the businessman, George Nader, who has been an adviser to Abu Dhabi Crown Prince Mohammed bin Zayed al-Nahyan, in recent weeks, as well as other witnesses on any possible UAE efforts to buy political influence with the Trump administration, the newspaper reported Saturday. Nader was a frequent visitor to the White House last year, meeting with senior adviser Jared Kushner and former chief strategist Steve Bannon, sources familiar with the meetings told the Times. The meetings focused on US policy toward Persian Gulf nations ahead of Trump's first foreign trip to Saudi Arabia in May 2017, according to the Times. After the TImes reached him by phone, Nader said he would call back, but neither he nor his lawyer returned the Times' request for comment, the newspaper said. The White House also did not return the Times' request for comment. The White House did not immediately respond to CNN's request for comment Saturday. Last summer, Trump weighed in on a dispute that UAE, Saudi Arabia, Bahrain and Egypt were having with Qatar, calling on Qatar to stop funding terrorism and claiming credit for and endorsing the decision of Gulf nations to ostracize their neighbor even as US Cabinet officials said their blockade is hurting the campaign against ISIS. The report of a focus on UAE by Mueller's team comes after Mueller's team indicted 13 Russian nationals and three Russian entities on charges of alleged election meddling and after Trump campaign adviser Rick Gates pleaded guilty to criminal charges in the wide-ranging probe last month.